Pretty nice weather was had at the 2018 Green Bank Star Quest. Nearly every night had excellent moments of clarity. This is the setup I used for the week. The Astro-Physics 130EDFGT riding on the Astro-Physics Mach1GTO mount with the modified Canon T5i camera and new Rokinon 85mm f1.4 lens. I used both instruments in imaging for the 4 nights. More images are in the processing cue. 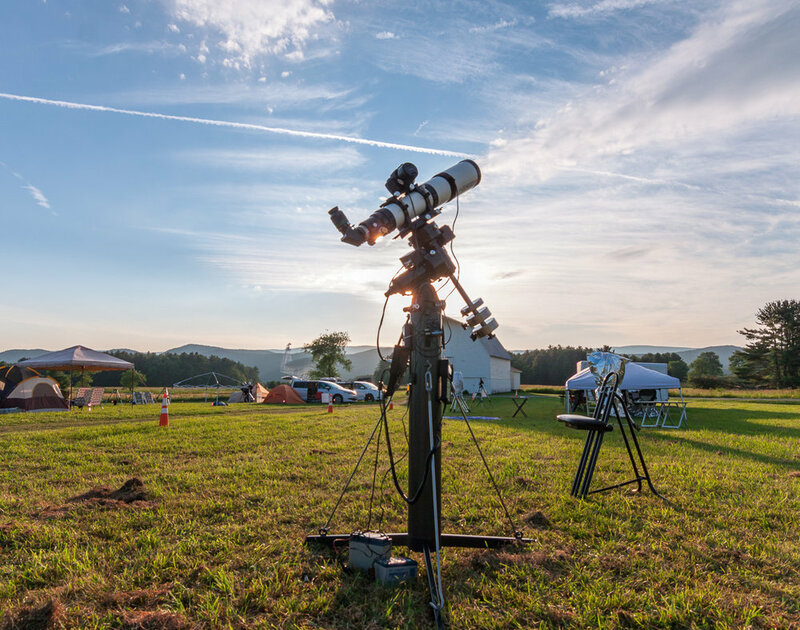 In this image you can see the Green Bank Telescope in the lower left quadrant. The GBT was very active during our stay at Green Bank.